Something from my bar whenever I feel like it episode CXXIVsteemCreated with Sketch. Well I was supposed to have a beer stein for today but apparently I forgot to take pictures of it and just put it back away. Don't even have anything Christmas ready to go and I'm a bit laid up due to some minor surgery on my little toe. Don't feel like going to the bar just to take a pic for today so going with a miscellaneous item I took pic for a few weeks ago and never did instead. 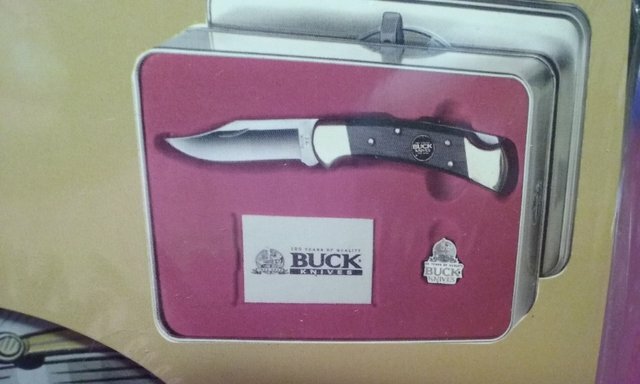 This is a collectible Buck Knife from 2002. 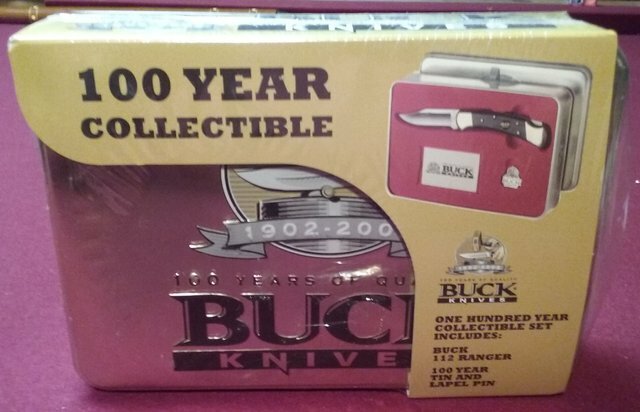 It's a collectors set to commemorate the company's 100 year anniversary. 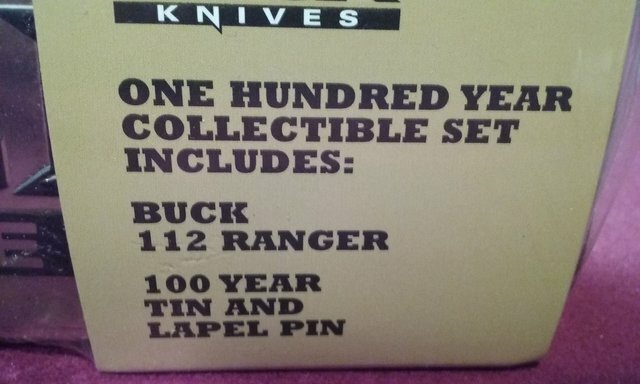 Inside the collectible tin is a knife and lapel pin. Not sure how these collectible ones are but I've carried a regular one for years. Looks just like this one but without the 100 year mark. Took years of heavy use to wear it out. These days it's relegated to paint scraper since the tip is broken off and it's very dull now. Used it for everything from a screwdriver to wire strippers and even as a hammer many times.